State legislators especially are receptive to constituents. Remember – they work for you. Your message should be short and direct. It is fine to express your personal opinion. Here is a sample to use for a call: Hello Senator X, this is (your name) and I am a constituent. I am calling regarding (bill number and name) and would like to ask your support on this bill. Thank you very much. Most of the time you will be leaving a message with an aide. Humane PA publishes fact sheets on most current bills. You don’t need to be an expert, but the more facts and arguments you have on your side, the better. Your legislators do not expect you to be an expert – that is what professional lobbyists are for. You can also use the fact sheets to send to your legislators to help educate them on the issues. Tell why and how you are concerned about an issue and how it affects you. Think of lobbying as teaching your elected official about an issue. 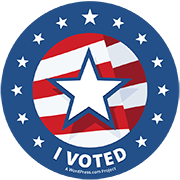 They are usually more accessible than your legislator and can have influence over how they vote. If you don’t know the answer to something, there is nothing wrong with saying you don’t know and you will find out and send them further information. It gives you the opportunity to follow up to send them more information. Whenever you get a chance to talk to elected officials, don’t just refer to your effort by the bill number, but add the subject, why you support the bill and whether you are asking for their support or opposition to the matter. At certain times, action occurs with little notice, and you may quickly need to help generate calls and e-mails in support or opposition. Humane PA PAC and other animal groups publish alerts to keep you updated. Maintain a good relationship with your legislators—today’s enemy may be tomorrow’s friend. They may be in office for decades. Threats and hostile remarks are not productive. Do not create any enemies – they can hurt all future bills. 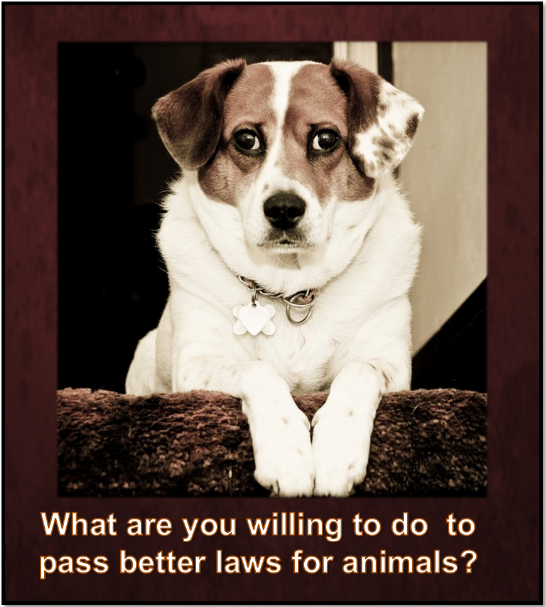 Animal protection is a bi-partisan issue. 11. Program your legislators contact information into your various devices: You won’t have to look up the information every time help is needed on a bill that is moving. Everyone appreciates being thanked. Send a follow up thank you note. This also gives you an opportunity to send additional information. Thank you for helping to make a difference for animals in Pennsylvania! Remember, Humane PA updates its Facebook page everyday with alerts and tips so check frequently and sign up to receive e-alerts too!